The Accreditation Council for Graduate Medical Education (ACGME) has established, as a component of its next accreditation system, the Clinical Learning Environment Review (CLER) program to provide frequent on-site sampling of the graduate medical education learning environment. The CLER site visit is used primarily to provide feedback, learning and baseline assessments, and to provide the opportunity for the institutions to demonstrate leadership in patient safety and quality improvement. 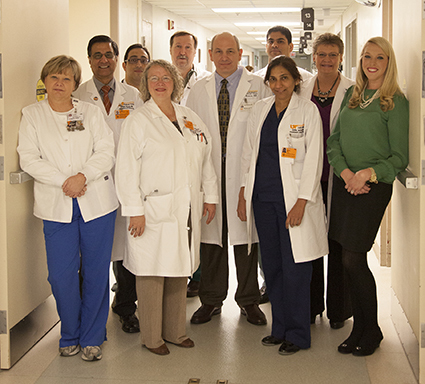 On March 18-19, the UT Graduate School of Medicine and The University of Tennessee Medical Center participated in their first CLER site visit. During the visit, two ACGME representatives met with administration of the medical center, the deans of the Graduate School of Medicine, faculty members, program directors, resident and fellow representatives, and staff members in the hospital and clinics. The reviewers also observed four live resident handoffs that demonstrated transitions of patient care. Preliminary feedback from the site visit identified areas of both consistency and variability across the institution in six focus areas pertinent to residents and fellows: Patient Safety, Health Care Quality, Transitions of Care, Supervision, Duty Hours and Fatigue Management, and Professionalism. Points of consistency included the medical center’s top patient safety priorities for injury-related falls prevention, central line-associated bloodstream infections (CLABSI), catheter-associated urinary tract infections (CAUTI), and standardization through the clinical care pathways. Variability assessment identified among other issues, the need for better reporting of near misses and the standardization of handoffs using EMR. From this experience, leaders of the Graduate School of Medicine and medical center have identified opportunities for improvement and have begun the process of strategically addressing how the institution can both educate high quality physicians and deliver the best patient care. A final written report of CLER findings from the ACGME will be available in six to eight weeks. The UT Graduate School of Medicine has established the Academy of Scholars, an initiative based on prior work by the Carnegie Foundation to promote academic excellence among faculty physicians by creating a community of scholars on the UTGSM campus. Continuing the series introduced in the February issue of The Scope, Academy members Brian Daley, MD, and Mitchell Goldman, MD, share what they see as the importance of the Academy and what they hope to accomplish through the organization. Learn more about the Academy members and its goals. 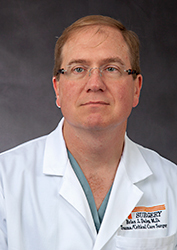 Brian Daley, MD, a professor in the Department of Surgery, is a practicing surgeon in general surgery, nutrition, trauma and critical care at the medical center. In addition, he serves as Program Director of the General Surgery Residency and Surgical Critical Care Fellowship programs. Dr. Daley said the Academy provides a means for local recognition and communication regarding teaching skills across the medical center. "The unifying goal of the Academy is to galvanize the current faculty and residents with recognized local experts to improve learning as a whole at the medical center and within GSM by recognition, research and retraining." "I am driven as an Academy member by the opportunity to create the future of the educational environment at UTGSM." Mitchell Goldman, MD, is a surgeon specializing in vascular and transplant surgery. A professor in the Department of Surgery, he is also the Department’s chair and assistant dean of research. He said, "The Academy represents a commitment to developing excellence in education, developing opportunities for mentoring beginning educators, and sharing resources among established educators. It is also recognition of achievement in education, which should benefit a developing career. I am driven as an Academy member by the opportunity to create the future of the educational environment at UTGSM." Look in the next issue of The Scope for perspectives from Academy members Kathleen Hudson, MD, and Larry Kilgore, MD. Dr. Melissa Phillips guides a Surgery resident in a simulated exercise. The University of Tennessee held Faculty Appreciation Week in February as an opportunity for students to recognize faculty who make an outstanding contribution to academics. UT Graduate School of Medicine residents, fellows and students were given the opportunity to recognize faculty members who have inspired them, mentored them, or changed the way they approach a case or research topic. The following faculty physicians were recognized. "Typically, at the end of the day, Dr. Allen will be one of the last attendings to leave the reading room. This is a result of his due diligence— for instance, spending twice the necessary time to read an MRI because he wants to make sure every resident understands the nuance of a labral tear. He will often be seen in the fluoroscopy rooms, where he walks for every exam to ensure optimal studies. Before he signs off on every report, he tirelessly ensures all the available clinical information has been considered. Dr. Allen is a true role model for me." "It is wonderful to have such a supportive program director who is approachable, challenging and kind." "Dr. Freeman is one of the pure definitions of a professional. His operative skills and clinical acumen are undisputed. These skills match the way he treats residents, staff, and patients. One of the last true physicians left." "Dr. Howard is one of the most caring, positive and skilled clinicians that I have ever had the pleasure of working with. I have had the joy of spending the last four years watching him work, care for patients and teach residents, students and nurses alike." "Dr. Phillips is one of the most approachable and respectful faculty members at UTGSM. She teaches medical students concepts from anatomy to physiology and patient management all while excelling at general and laparoscopic surgery. She has re-set the standard for the demeanor of surgeons." 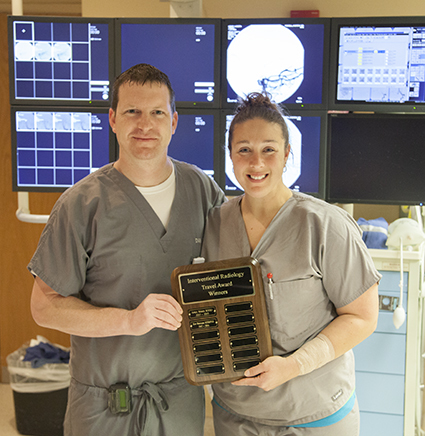 "Dr. Stevens should be recognized for her continued commitment to her residents. She is always available for any and all questions or concerns and genuinely cares about her residents as physicians and people. It is wonderful to have such a supportive program director who is approachable, challenging and kind." Research on treatment options for pregnant women who test positive for group B streptococcus (GBS), intestinal bacteria typically harmless in adults that can cause serious illness in newborn babies, may soon lead to changed treatment protocols. The rate of babies born with GBS has significantly dropped over the past 50 years through protocols and guidelines established by the Centers for Disease Control and the American College of Obstetricians and Gynecologists. Current guidelines recommend chemoprophylaxis treatment of mothers with penicillin during childbirth. In the presence of high-risk penicillin allergies in the mother, guidelines recommend the use of clindamycin as the antibiotic of choice, as long as there is no demonstrated resistance to clindamycin or erythromycin- a resistance that has been on the rise over the past 20 years. In the absence of sensitivity to the latter antibiotics, vancomycin is currently recommended with a dosing schedule of 1 gram intravenous every 12 hours during labor. A study led by Craig Towers, MD, Associate Professor, Obstetrics and Gynecology, sought to obtain appropriate dosing for vancomycin. In reviewing literature on the therapy, he discovered very little information existed regarding the transplacental passage of vancomycin and the blood levels obtained in the neonate at the time of delivery. Dr. 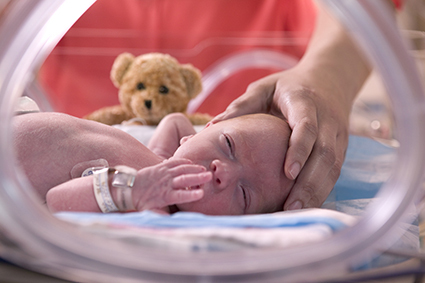 Towers initiated the largest study to date looking at the transplacental passage of vancomycin from mother to neonate. Through this study, he found that current dosing recommendations were inadequate and suggests a regimen of 20 mg of vancomycin intravenously every 8 hours with a maximum individual dose not to exceed 2 grams. Dr. Towers presented his research findings in February at the Society for Maternal-Fetal Medicine, the largest obstetrical research meeting in the world. The study is also expected to publish in the American Journal of Obstetrics and Gynecology later this year. Dr. Towers said he believes the dosing recommendations recommended in his study will become the new treatment guidelines in the future. Co-authors of the study include Cheryl Onwuchuruba, MD, Bobby Howard, MD, Mark Hennessy, MD, Lynlee Wolfe, MD, and Marjorie Brown, MD. Mechanical, Aerospace, and Biomedical Engineering (MABE) students from the University of Tennessee are working with Dustin Osborne, PhD, Assistant Professor of Radiology, in conjunction with the Molecular Imaging and Translational Research Program to design a new respiratory phantom that enables accurate imaging of lung nodules during simulated respiratory motion for use in testing advanced gating technologies for PET/CT imaging as well as radiation oncology applications. MABE students working on the project are Geneva Doak, Michael Harris, Kayla Stone, and John Taylor. Their system uses a basic design that is similar to the standardized shape of the Society of Nuclear Medicine Clinical Trials Network Chest Phantom, but it is outfitted with systems that enable accurate representation of respiratory motion during imaging. 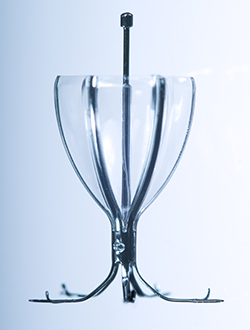 The phantom simulates the movement of nodules in the lung as well as liver lesions that are most affected by respiratory motion. This new phantom will be used to test the functionality and accuracy of advanced gating technologies developed at the University of Tennessee and to develop new methods of calibrating and testing nuclear medicine imaging equipment with radiation therapy hardware. 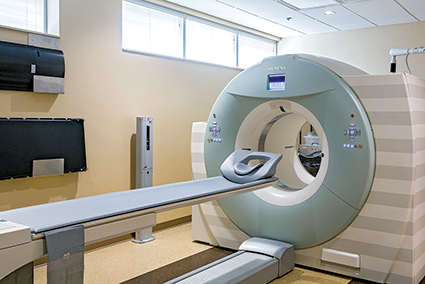 Gating technologies for PET/CT imaging enable the capture of motion information within the respiratory or cardiac cycle so that physicians can either visualize the motion or reduce motion artifacts in the final images. In radiation therapy, gating technologies are used to synchronize the therapy beam to activate during a certain phase of the cycle so that the therapy occurs at the proper time in the motion cycle. This work is made possible by the senior design program in MABE headed by Jeff Reinbolt, PhD, and is partially funded by the National Institutes of Health. 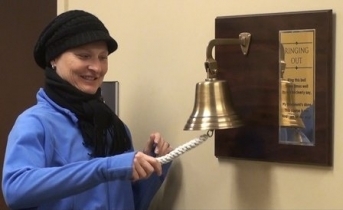 The Radiation Oncology Department at The University of Tennessee Medical Center has implemented a new tradition known as "The Ringing of the Bell" for cancer patients who have just completed radiation treatment. The idea for this celebration was inspired by Lenny Rheault, a radiation oncology patient and volunteer who took part in this tradition when treated at Mass General in Boston, Massachusetts. This widespread tradition was introduced in 1996 at MD Anderson, Houston, Texas, when U.S. Navy Rear Admiral Irve Le Moyne, a patient with head and neck cancer, installed a brass bell Â in the Radiation Treatment Center. The bell is rung three times symbolizing the restoration of balance, harmony and life energy at the end of a patient’s radiation treatment. "Our new UT tradition of celebratory bell ringing has been an immediate hit with our patients and their families. ... it also serves as encouragement for others who are earlier in their courses of therapy." Terry Love, RN, Radiation Oncology, and her husband Jim donated the bell and plaque after being inspired by Lenny’s story. They searched and found the brass bell at a navy yard. The unveiling of the new bell was accompanied by a small ceremony and a blessing of the bell by Chaplain Anne Sprouse. Lenny and his wife were honorary guests. On that day, the bell was rung by six patients who had finished their treatment. Robert Bertoli, MD, Assistant Professor of Radiology and Radiation Oncologist, said, "Our new UT tradition of celebratory bell ringing has been an immediate hit with our patients and their families. Not only is it a wonderful event for the patients completing their treatment, but it also serves as encouragement for others who are earlier in their courses of therapy." The Second Annual Medicine Conference: Today's Technology and Treatment Trends was held at UT Conference Center February 28-March 1 to address several pressing issues in medicine, as presented by local experts. Topics included management of acute stroke, osteoporosis evaluation and treatment, changes in lung cancer screening guidelines, principles of peripheral neuropathy evaluation, evaluation and management of atrial fibrillation, enhancing office based end-of-life decisions, motivational interviewing techniques, and recognizing signs and treatment options for celiac disease. Course directors for the conference were Russell Smith, MD, and Daniel Ely, MD. 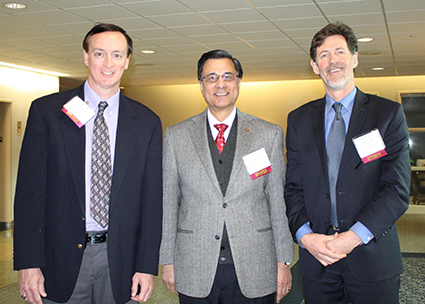 The conference was hosted by the Department of Medicine at the UT Graduate School of Medicine. UT Graduate School of Medicine Board of Visitors members Eddie Jessup and Deborah Diddle have spearheaded a program to share the message of The University of Tennessee Medical Center's mission with the 21 counties of East Tennessee through a Volunteer Ambassadors program. Volunteer Ambassadors will speak at community meetings and with leaders of their chosen counties to help the people in those areas understand the medical center's mission of excellence in healing, education and discovery, and how they can contribute. For more information on the Volunteer Ambassadors program, contact the Office of Development at 865-305-6611 or development@utmck.edu. Pulmonology faculty in the Department of Medicine Paul Branca, MD, James Shamiyeh, MD, and Michael McCormack, MD, are leading a clinical trial to provide a new treatment option for patients affected by emphysema, a major health concern in Tennessee that is often preventable and has no cure. Emphysema, most often caused by smoking, is a condition in which air sacs of the lungs are damaged and enlarged, causing breathlessness. While emphysema can’t be cured, there are treatment options to help relieve symptoms and slow the disease’s progression, including medications such as smoking cessation drugs, inhaled steroids and antibiotics. When medical therapy is no longer effective, doctors must consider surgical interventions, such as lung volume reduction or lung transplant. Lung volume reduction is a procedure that removes the most severely damaged and over-inflated areas of the lung, allowing the healthier lung tissue to expand. It is considered a major, invasive surgery, and most emphysema sufferers are not optimal candidates. The University of Tennessee Medical Center is one of fewer than 20 centers in the country, and the only center in Tennessee, participating in the EMPROVE clinical trial, evaluating a new device that provides lung volume reduction for patients without undergoing surgery. Using a bronchoscope, a small umbrella shaped, one-way valve is placed in the airways leading to the damaged lung. The valves allow air and secretions to come out of the target lobe when the patient exhales but prevent air from reentering on inhalation. The damaged part of the lung deflates, allowing the healthier portion to expand. The clinical trial is open and recruiting patients who have daily symptoms. Patients must have completed pulmonary rehabilitation and must have quit smoking for at least four months. To learn more, contact the trial coordinator, Lauren Davis, at 865-305-7975. Dan Bernard and April Moses were the first two recipients of the Osbornes' travel scholarship. Dan Bernard, BS, RT(R)(VI), interventional radiology technologist at The University of Tennessee Medical Center, is attending the Society of Interventional Radiology meeting March 22-27 in San Diego, through a travel award initiated by Dustin Osborne, PhD, Assistant Professor, Radiology, and his wife, Beth, Interventional Radiology Supervisor. 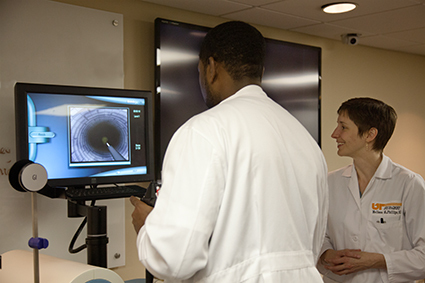 They initiated the scholarship in 2013 to provide nurses and technologists in interventional radiology the opportunity to participate in national research efforts by attending conferences and presenting research. The scholarship is awarded based on abstract submission and/or acceptance to a conference related to interventional radiology. 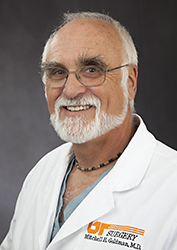 Bernard’s abstract, "Safety and Efficacy of Combined Micropuncture and AXERA Femoral Access," was accepted to the Global Embolization Symposium and Technologies conference. April Moses, BS, RT(R), was the first recipient of the scholarship, and she attended the 2013 SIR meeting in New Orleans for submission of her abstract, "A Detailed Description of Different Accesses for Placing a Chest Port."